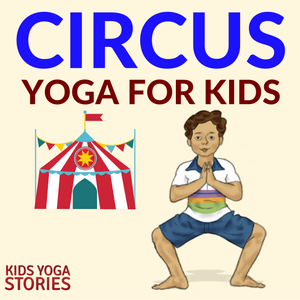 Bring the circus alive by acting out performers’ tricks with this circus yoga sequence for kids. I’ve never been entirely sure how I feel about animals being in a circus, so when I found out about a traveling circus put on by teenagers without animals, I couldn’t wait to take my daughter! And as I expected, she was entranced by the lights, music, and the incredible performances of the young people. She watched in awe as the performers did amazing tricks like juggling, walking on tight ropes, and riding unicycles. Afterwards, we talked about how the performers had to become experts in balance, flexibility, strength, teamwork, bravery, and focus. They would no doubt use the power of their breath to help them focus on their tricks and keep them in the present moment, without being distracted by the audience. The circus was beyond awe-inspiring, and we’re still talking about it weeks afterwards. 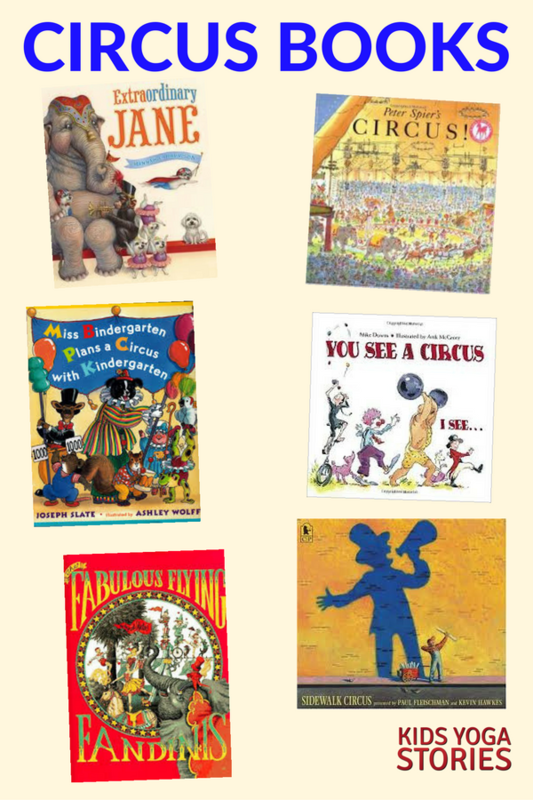 Do you have any other favorite circus books for kids? I’d love to hear about them in the comments below! Pretend to be balancing on a tight rope. Stand on one leg. Bend the knee of the leg you are not standing on, place the sole of your foot on the opposite inner thigh or calf, and balance. Pretend to be balancing on a tight rope. Switch sides and repeat the steps. Pretend to be lifting heavy weights. Stand with your legs apart, feet facing slightly outward. Bend your knees and stand firm as if you’re lifting a heavy weight above your head. Or you could pretend that you have another circus performer standing on your shoulders. Pretend to be doing the splits. From Horse Stance, come to a standing position. 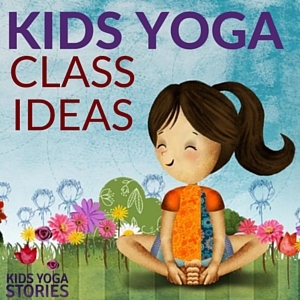 Then, on an exhale, do a swan dive to a Standing Forward Bend. Place your palms flat on the ground. 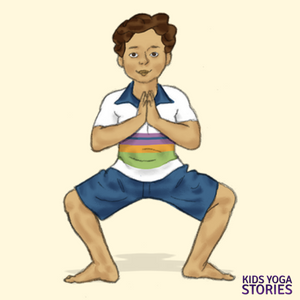 Inhale, and on an exhale, step your right foot back into a lunge, bending deeply into your front left knee while ensuring that your knee is aligned above your ankle. Keep a flat back and open your chest. Pretend to be warming up to do the splits. You could certainly do the splits if that’s available to you. Switch sides and repeat the steps. Pretend to be getting ready to do a handstand. 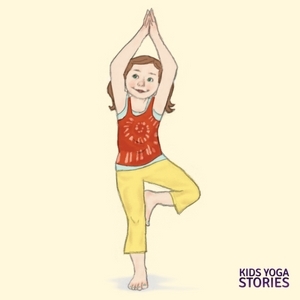 Step back to your hands and feet in an upside-down V shape, with your buttocks up in the air. Check that your palms are flat on the ground and that your fingers are spread out evenly. Stay here or take baby steps forward to bring your torso right over your arms in preparation for a handstand. Again, you could do a full handstand if you’re able. Pretend to be a trapeze reaching for the next swing. Come to lie on your tummy, lift your chest and shoulders, and look up. Pretend you are a trapeze performer flying from one swing to another. 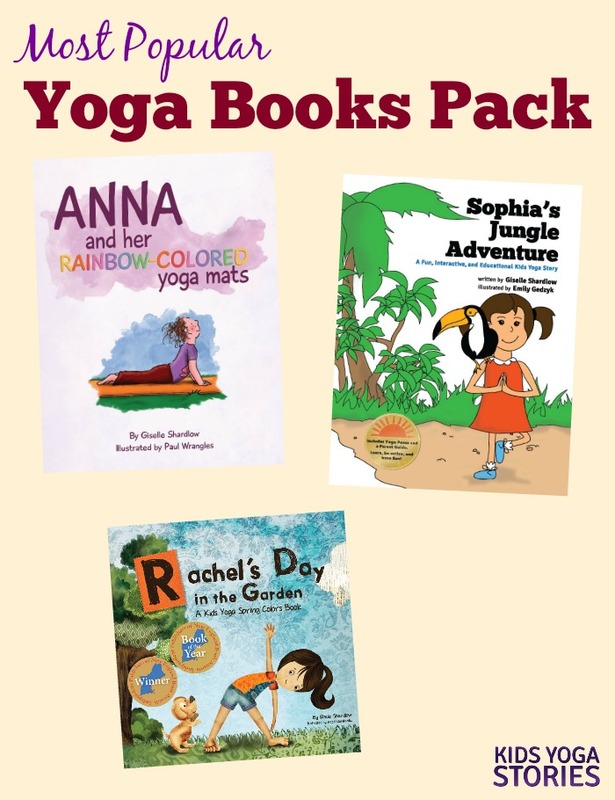 You could also extend up into a full Bow Pose. 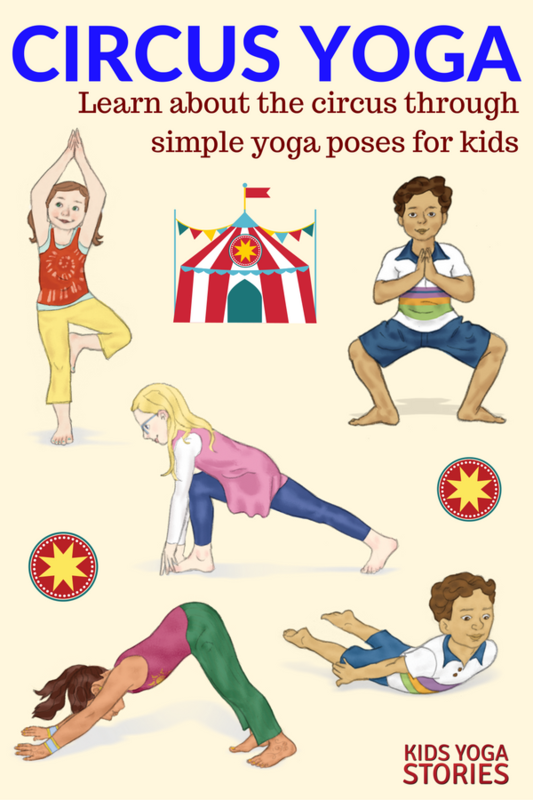 If it’s appropriate, have the children play around with making up new circus poses and have them share with each other. Make the experience relevant and meaningful to them. My daughter and I look forward to next year when we can once again catch the opportunity to see hard-working, brave circus performers show us the power of the human body! 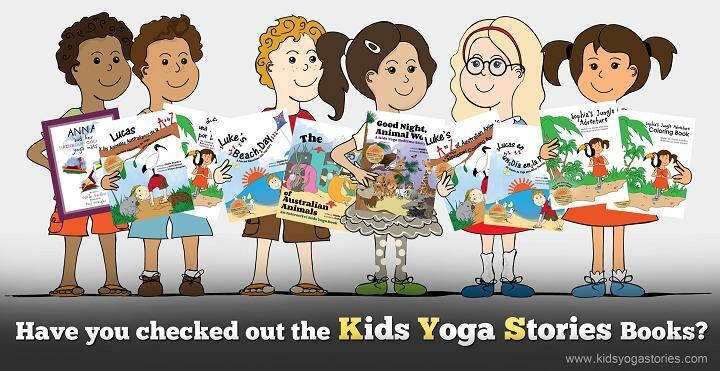 Purchase 40 Partner Yoga Poses Cards for Kids here.